Ryan Francis Robtoy a lifelong resident of this area passed away unexpectley Monday, February 20th, 2017, at his home. Born on April 10th, 1993, in St. Albans, he is the son of Angelique (Benoit) Robtoy and the late Ronald F. Robtoy, II. Ryan was 23 years old. Ryan was educated in St. Albans and was an avid “Gamer” where he made friends from all over. He also was a huge fan of Bob Marley, loved anything with a motor, and there wasn't anything he couldn't take apart. Survivors include his mother, Angelique Robtoy and her partner, Thomas Massey, of St. Albans; his sister, Chelsea Salvaty and her husband, Michael, of Rutland; his niece, Emilee Ives; nephew, William Massey and his sister, Kaycee Connelly and her husband, Joseph. 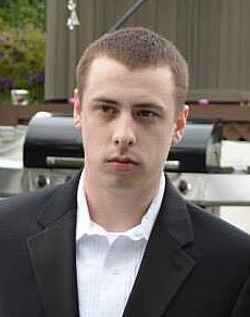 Ryan was predeceased by his father, Ronald Robtoy, II on July 23rd, 1995 and his cousin, Jason A. Robtoy on June 13th, 2014. Relatives and friends are invited to attend calling hours on Saturday, February 25th, 2017, from 11:00 AM to 1:00 PM at the Heald Funeral Home, 87 South Main Street, St. Albans. A funeral service will be held at 1:00 PM at the funeral home with the Reverend Maurice J. Roy officiating. To send Ryan’s family a written expression of sympathy, please go to his on-line guest book at www.healdfuneralhome.com.